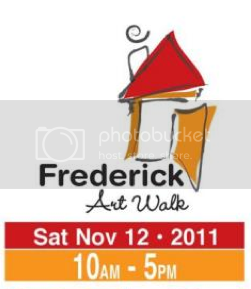 The Frederick Art Walk is a 2 km walking tour through one of Kitchener’s oldest neighbourhoods. The Central Frederick Neighbourhood spans north and south of Frederick Street between Lancaster and Edna. Participants can enjoy the beauty of a fall day and pleasure of exquisite artworks, in a setting of grand maple trees and century-old homes. In 2011 we have 62 artists participating in 19 homes. The 2011 Art Walk features an amazing array of works including fabric art, paintings, chocolate, photography, pottery, wood art, stained glass art, sewing crafts, tile work, jewellery, and more for all tastes and budgets. 365 things to do in Kitchener Waterloo is brought to you by the Agents of Change. Most people do things a certain way (because they think it’s the best way). But what if there’s a better way? We think there is a better way to buy or sell houses in Kitchener Waterloo, and so do our clients!